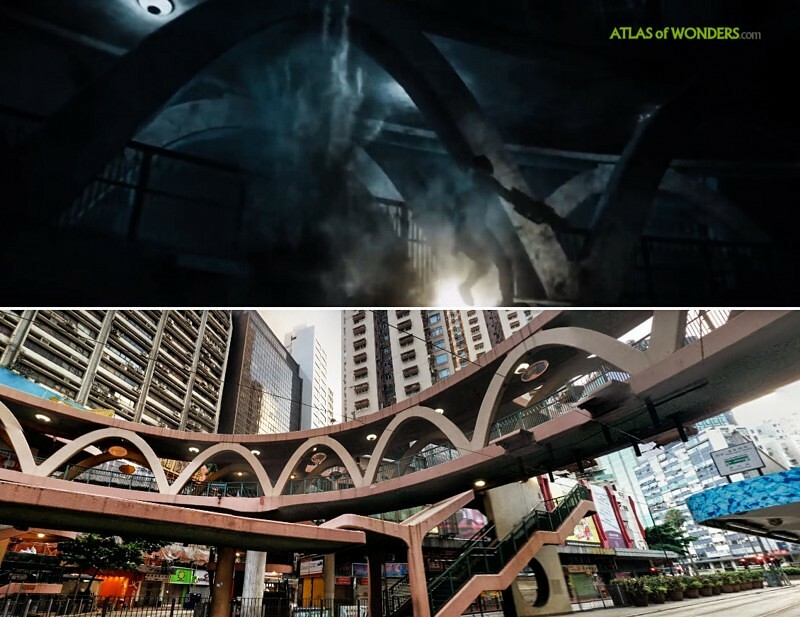 Filming Locations: Where was Ghost in the Shell filmed? This new cyberpunk movie is based on the classic manga written and illustrated by Masamune Shirow. Ghost in the Shell is the story of a crime-fighting cyborg trying to stop a dangerous group of terrorists, whose objective is to eliminate advances in robotics technology. With Scarlett Johansson taking on the lead role of The Major and Pilou Asbæk (Euron Greyjoy from Game of Thrones) as Batou, the supporting cast includes the legendary Takeshi Kitano and French actress Juliette Binoche. 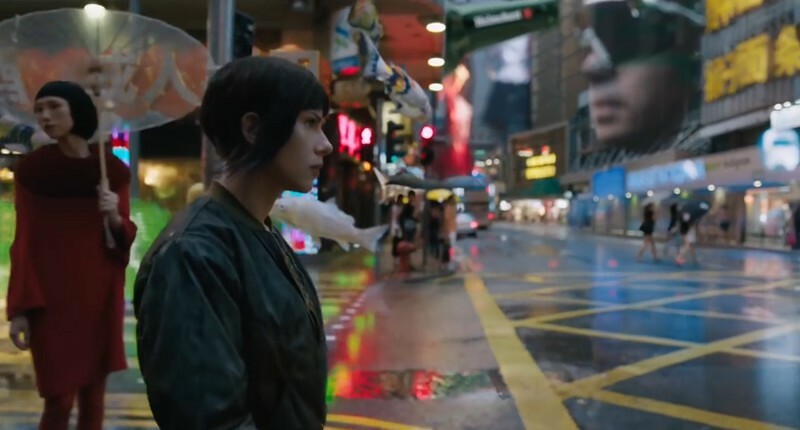 Ghost in the Shell was filmed in New Zealand and Honk Kong, although the action is set in the mid 21st century of a retro-futurist Japan - the characters drive 80s cars and use 90s machine guns. Most of the movie was filmed in the Stone Street Studios in Wellington. The production team built around 20 detailed sets in these facilities. 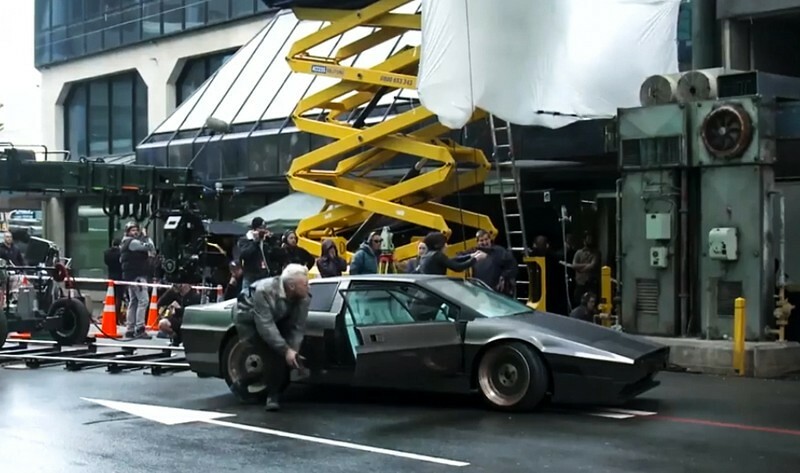 Wellington's Victoria St was closed to traffic for filming during two weekends. 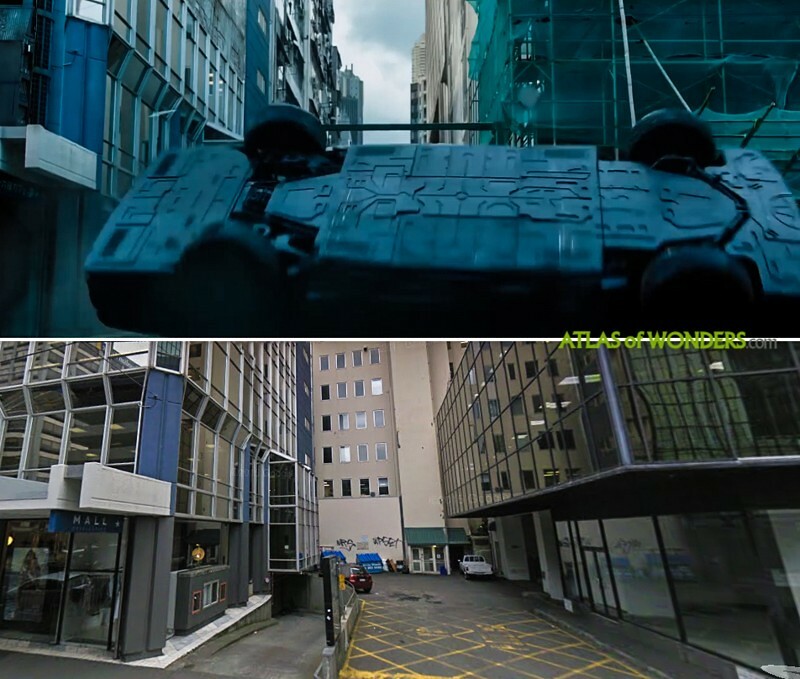 Example of how disguised Wellington is under all the layers of CGI. 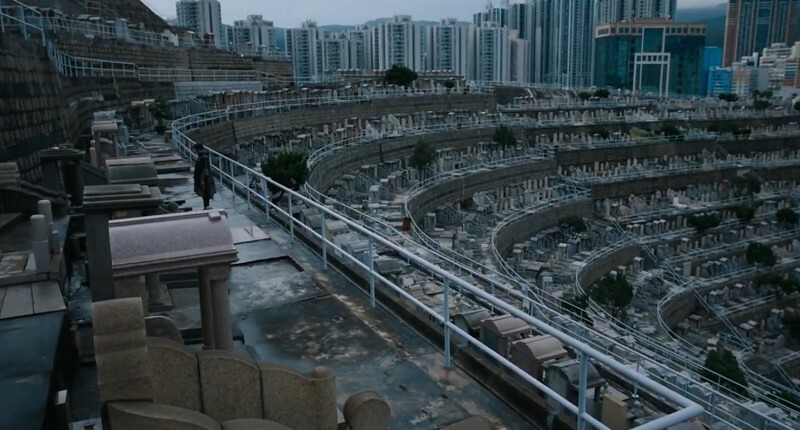 Scene filmed at the Tsuen Wan Chinese Permanent Cemetery. A scene of a fight was filmed using as a background buildings from Quarry Bay and Sai Wan Ho. The Montane Mansion, built in the 70's at Quarry Bay. 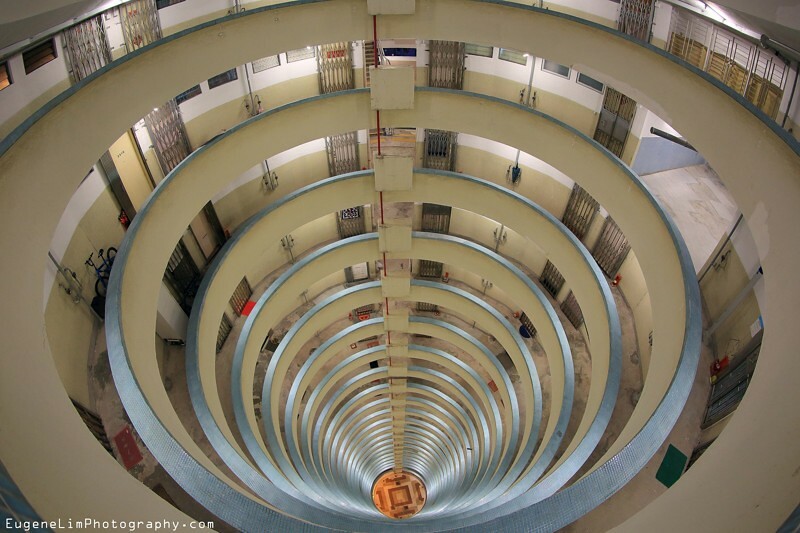 Major's family home was in the circular apartment building Lai Tak Tseun estate in Tai Hang. 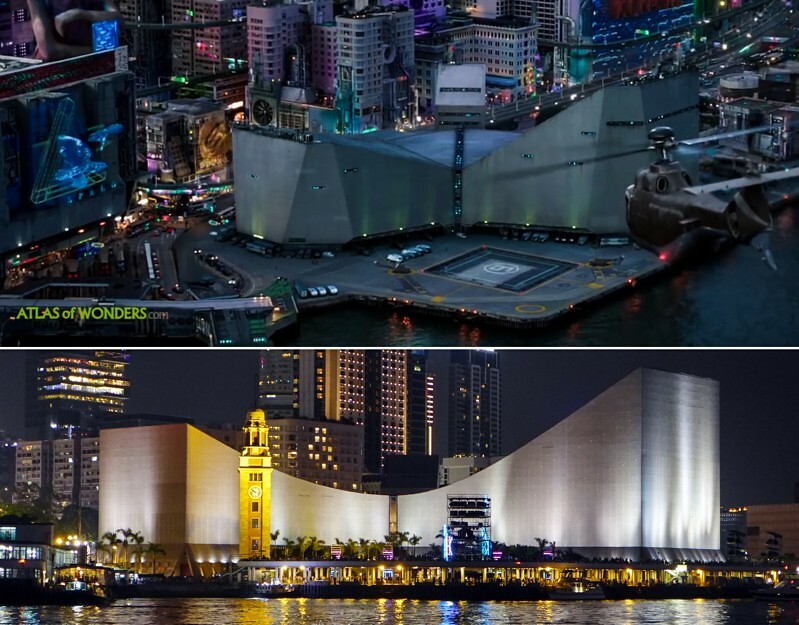 The Hong Kong Cultural Centre was the inspiration for the Section 9 complex. The design of the Hanka Robotics headquarters is based on the towers of Lippo Centre, also in Hong Kong. 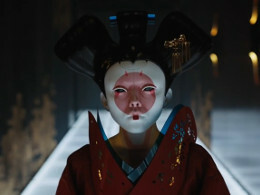 Can you help to improve this post about the filming locations of 2017' Ghost in the Shell? To complete and correct this report, any feedback, info or images that you may have are more than welcome, thank you! 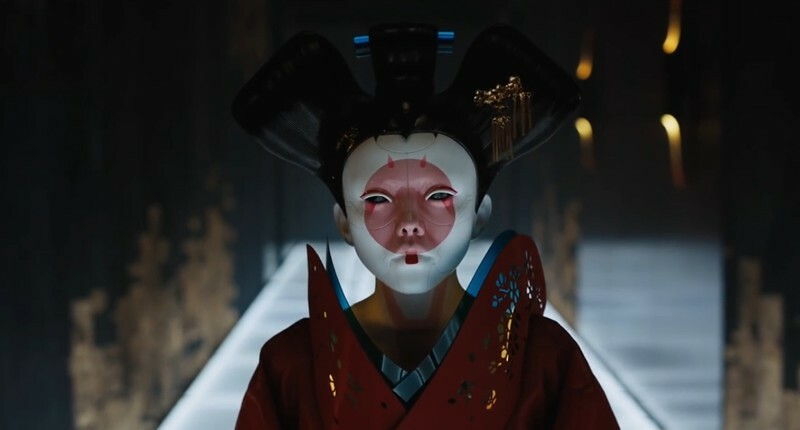 For further information we highly recommend the book The Art of Ghost in the Shell , more than 150 pages packed with photos, drawings and interviews behind the scenes. Major's family home was Lai Tak Tseun estate in Tai Hang Hong Kong. http://samthelocal.com/photogenic-hong-kong-housing.../ Montane Mansions was also used for a scene. The reception of HANKA seems to be the lobby of the Center. Dr. Ouelet's house is located in Jardine House.